So the surgery is come and gone. Wednesday- went into hospital at 9:45 and filled out forms and got registered. Once they called my name I went to the pre-op room. In this small room they go over the procedures and ask me a million questions, which will then be asked again and again throughout the day (my name, birthdate, what surgery I’m having, when was the last time I ate, etc). Next I had to get on my robe and other garments and get seated on the bed. Finally the nurses came in to try and ‘thread the IV’. Unfortunately I have very small veins and even drawing blood regularly takes a skilled phlebotomist several tries. Two different nurses tried on 5 pricks to no avail. (I took a photo of me with my hands all bandaged but it didn’t turn out.). Waking up from anesthesia is a weird experience. Its a foggy wake up where nothing makes sense. I immediately felt hot, sweaty and nauseated. In fact, within a minute I yelled for the nurse and threw up this thick gooey substance and it was all over me. (sorry for the overshare). She came and gave me a bag and tried to calm me down. At this point I wasnt even thinking about my eye. The nurse was able to change my robe and get me a hot cloth that helped sooth me and it was only then that I thought “ooh, my eye hurts!”. It hurts in a weird way. It kind of feels like a pressure mixed with a sting. Have you ever had a eye lash stuck in your eye? It feels a little like that but with all your eye lids. this is my Doctor- Dr. Peterson. He did such a good job and is a very kind man. After I was partly calm they moved me from post op to recovery where I could see my mom. What a welcome sight and to feel her hand on my hand. It was funny because she was so cold in the room that they gave her like 3 blankets. Me, on the other hand, was roasting- sweat sticking to the bed. The nurse tried to get me to drink cranberry juice and sprite but it was too sweet. I wish they had something better for diabetics besides sweet sodas. Finally I went with a diet pop but it didn’t help much. I tried to eat 2 crackers but did not feel well. After resting for many minutes (and receiving medicine through the iv) I was finally ready to put on my clothes which felt heavy against my sweaty, weary body. They rolled me out in a wheel chair and then I got into the car where I immediately got sick again and threw up. Feeling awful we drove to the doctor’s office for the final adjustment to be done. I was nervous about this but with the anesthesia gel it wasn’t too bad. I told my doctor that getting my eye brow’s waxed hurts worse! He is such a good doctor and just a kind man. I am lucky to have found him. The nurse who helped us at the doctor’s had the same surgery but she told me she needed it 6 times throughout her life! I guess she was born with crossed eyes and it took many tries to get alignment. Wow! I can’t imagine going through this 6 times. She did also say that my doctor was the one who could finally get the alignment right. It seems like he is the best at this particular surgery and it is comforting to know you are in the hands of the best. Finally after all that I could go home, take some lortab and rest. Surprisingly looking at a laptop up close was easier than a far-away tv. This is why I was able to post on facebook the day of the surgery. It was especially easy because I used a patch for the first day which helped me to focus and helped the eye to heal. Now things are fuzzier that I have to use both eyes. My visiting teacher Brianna brought over Rumbi grill on Wednesday which I am so grateful for. Since we didn’t get home until after 4 it was so wonderful to have food brought to us. Thank you so much. She even made sure my mom had gluten-free sauce and that we all had brown rice. Thursday- After a night of interrupted but good sleep I woke up feeling groggy and a little hung over from the anesthesia. I also felt tons of body aches after surgery. My neck, back and chest were all very sore. I felt like I had been in a car accident and was experiencing whiplash. My mom thinks it may be something to do with the position they put me in for operating. Who knows? The whole rest of the day I wore the patch to help me see and to help me from poking at the eye. 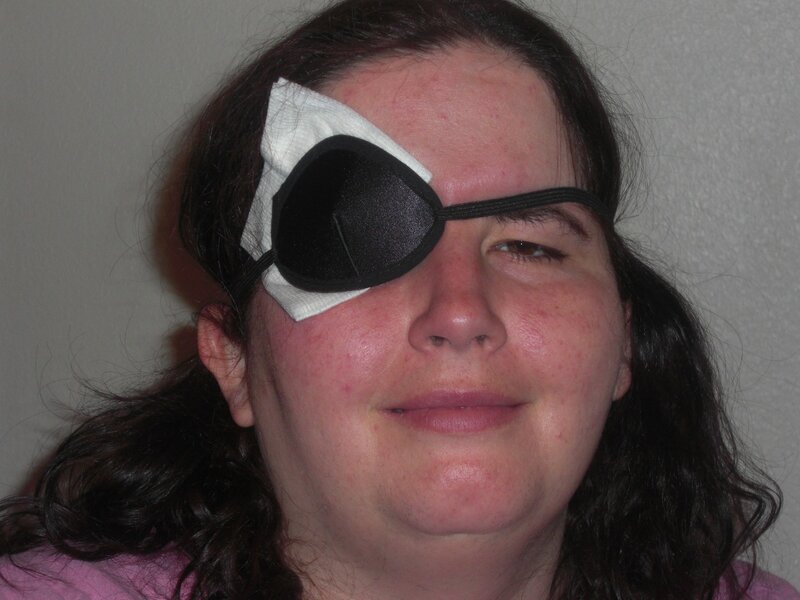 We decided my pirate name is One Eyed McGee. The eye hurt but there were also accompanying head aches that would take over my whole head. Thank goodness for Lortab! I just have 12 pills to get me through the worst of it because I know how dangerous it can be. On Thursday I was grateful for it. It was so nice having my mother here to talk with and help me take the medicine. The eye drops are very important and I have to remember to take them 4 times a day. Friday- Most of the grogginess is gone and doctor says I have to take off the patch for the day. 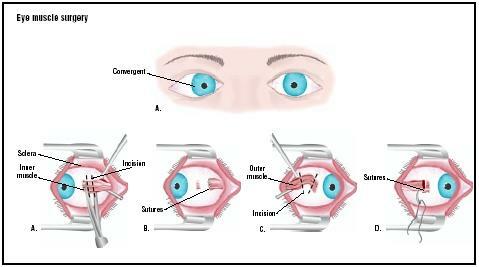 This makes things double and can be painful- particularly when my eye tries to move. It is more like a pressure accompanied by a bit of a sting. Still, there is definite improvement today. We decide to visit my grandma (I figured sitting there not that different from sitting in my apartment). That was a pleasant visit but I did get tired towards the end. I think it will take a couple of days to be back to my usual effervescent self! Not wearing the patch is hard. I feel there is liquid coming and want to dab my eye or pick at it. It takes all of my strength to leave it alone. I don’t want infection to develop. I must admit that despite my best efforts the skin under my eye is a little raw from the gauze rubbing against it. today I must do better on that. It’s just very tempting but I really dont’ want an infection. Saturday- Today I feel pretty good. 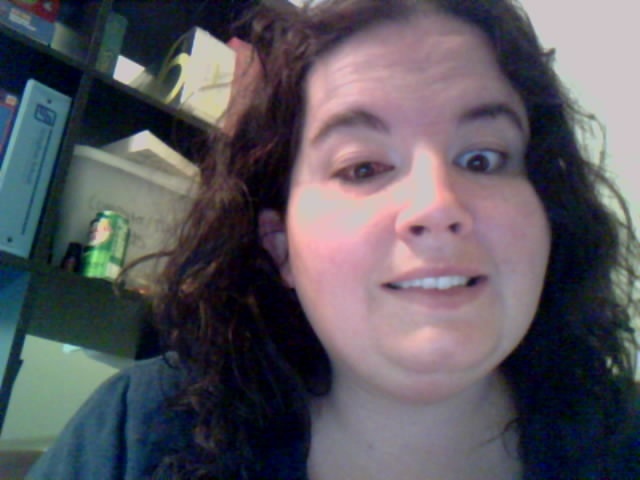 I woke up with my eye caked over in fluid and the like, which I have read is common. I do feel the sting and the throbbing are a little better. I feel confident I should be able to drive tomorrow to take my mom to the airport. Today we are going to try going out with friends for lunch and maybe going to Ikea. We will see. 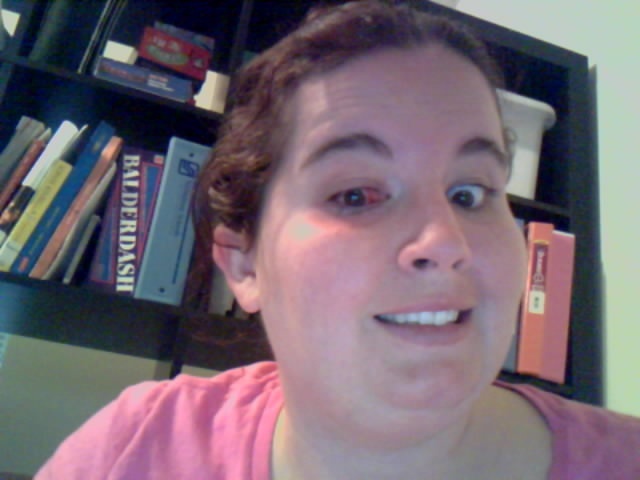 Now I look like a one-eyed vampire. 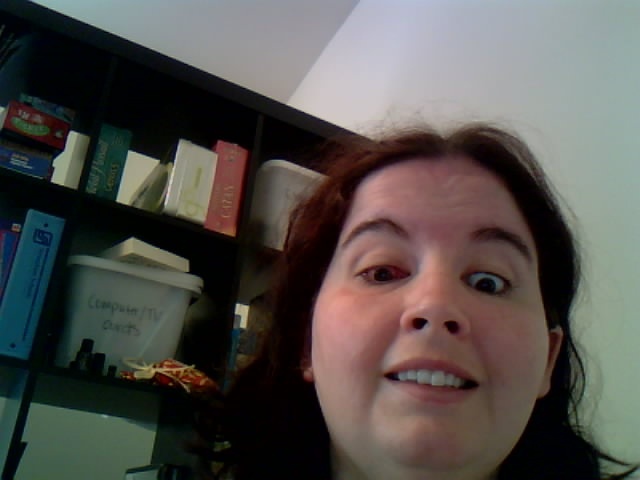 The strangest thing is I cannot open my right eye completely because of the sutures- so one eye looks big and the other freakishly small. Oh well! All part of the healing process. Today I am transitioning off of lortab to Tylenol and ibuprofen. I know how dangerous lortab can be and do not want to become an addict. Still, it was nice to have for a few days to relieve pain. I am confident of my healing moving forward. Thank you for all the support and encouragement I have received. Its been quite the journey but soon I will be able to see differently than ever before. I will be curious to hear your feedback about my eye contact and other things you see as improvements post surgery. My friend Melissa said she could already see a new alignment and that she thought I looked prettier! That made my day. Nothing like being told your pretty when you look like a one-eyed vampire! I really am curious to know if you see anything different in my face and how I interact with you. My eye contact should at least be better. If any of you are going through surgery- particularly this surgery- know it will be rough but you will get through it. Lean on the support of those you loved and don’t be afraid to ask for help. I am so grateful to those who have helped me especially my Mom.